This blog post by Chelsea Patterson was posted on the Gospel Coalition website recently. It is a very instructive for those Christians dealing with the pain of infertility and useful in encouraging adoption. “From the beginning of history God has commanded the human race to “be fruitful and multiply and fill the earth” (Genesis 1:28) for we are told that, “Children are a heritage from the LORD, the fruit of the womb a reward” (Psalm 127:3). But even though procreation is commanded by the Lord and a natural part of how God ordered creation, some couples simply cannot conceive children. Approximately one in ten couples struggle with infertility. Infertility is a result of the fall. When sin entered the world in Genesis 3, so did disease, sickness, and bodies that sometimes cannot perform the “normal” functions the way God designed. Because infertility is such a common affliction affecting couples, churches must address this topic from a gospel-centered, sensitive, and loving perspective. Grief and deep heartache are natural emotions to feel over the fact that you cannot bear a child. When a woman grieves over not being able to conceive, she is experiencing the loss of a dream, a hope deferred, and ultimately grieving over sin’s devastating touch in the world. The pain of infertility can feel devastating. While the modern Western culture doesn’t place as high a value on reproduction as in ancient times, many women are still ostracized or abnormal because they cannot fulfill the desire to be a mother. Finding out that you can’t conceive presents new realities for which we may have to adjust. In the midst of infertility, fix you gaze firmly upon the hope that is in God alone. Cling to every promise that in his Word. Trust that the Lord is ultimately good. Even though you might not feel his goodness, press in and believe his Word. Second, infertility may even tempt couples to use unethical measures as they chase their dreams. Even though the pain of infertility may run deep in your heart, I urge you to choose a better path, such as adoption. Adoption is often treated as a last resort or a last-ditch effort to build a family. Many couples will choose to adopt because they are experiencing infertility, and their hearts still deeply long for a child. 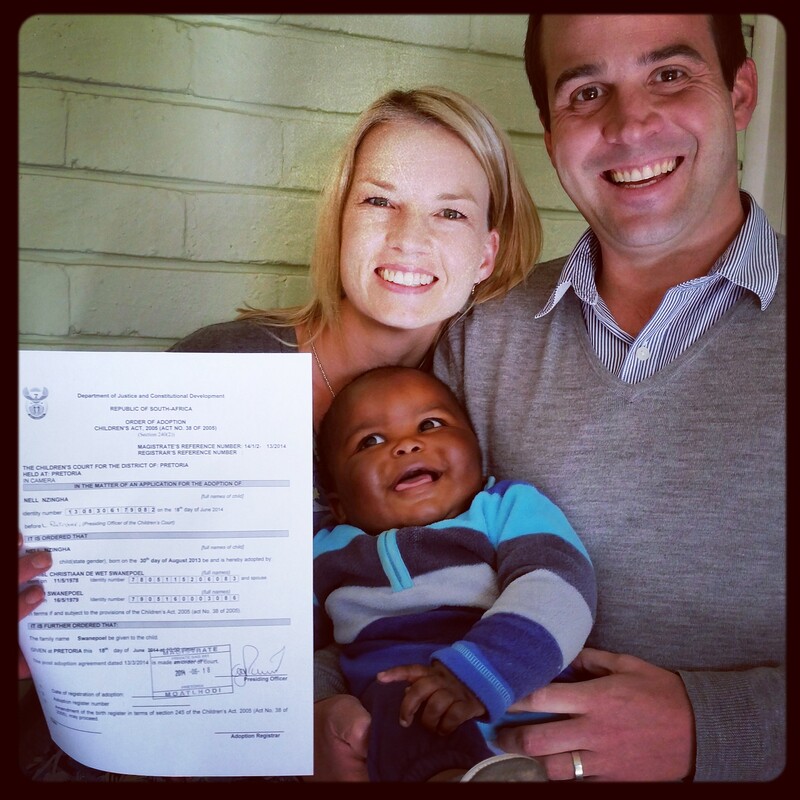 But adoption is a great privilege as couples welcome another’s child as their own. Earthly adoption is one of the clearest representations of the gospel. Adoption is redemption on display for the world to behold. Apart from the gift of my salvation, earthly adoption is the greatest gift I’ve ever received. I was an orphan—both physically and spiritually. My story began in Romania with a 19-year-old unwed girl who wasn’t able to take care of me. The Lord sovereignly chose adoption for me. I am blessed that a man and a woman from the United States made a decision that radically altered my life forever when they traveled across the world and chose me as their daughter. I was rescued from a life void of love and care and freely given a new life beyond my wildest dreams. Adoption is immensely personal, because I was specifically chosen, sought out, bought, declared to have all the rights and privileges of being a member of a new family, and most importantly, loved beyond belief. If you are God’s chosen one, you were not an afterthought or part of a failed plan; you were intentionally chosen. In Ephesians 1:4-5 Paul writes, “He chose us in him before the foundation of the world, that we should be holy and blameless before him. In love he predestined us for adoption through Jesus Christ, according to the purpose of his will.” Your salvation and adoption by the Father was planned and purposed before time began. Adoption should be celebrated and welcomed to boldly proclaim the gospel to those in need and to a watching world. The world won’t always read a Bible, but they will read Christians. We have the unique opportunity of displaying the character and nature of our heavenly Father by how we respond to trials. *Taken from the book “Kisses from Katie” by Katie Davis. This is a piece written from the perspective of an “adoptive aunt”, Gina Diorio. 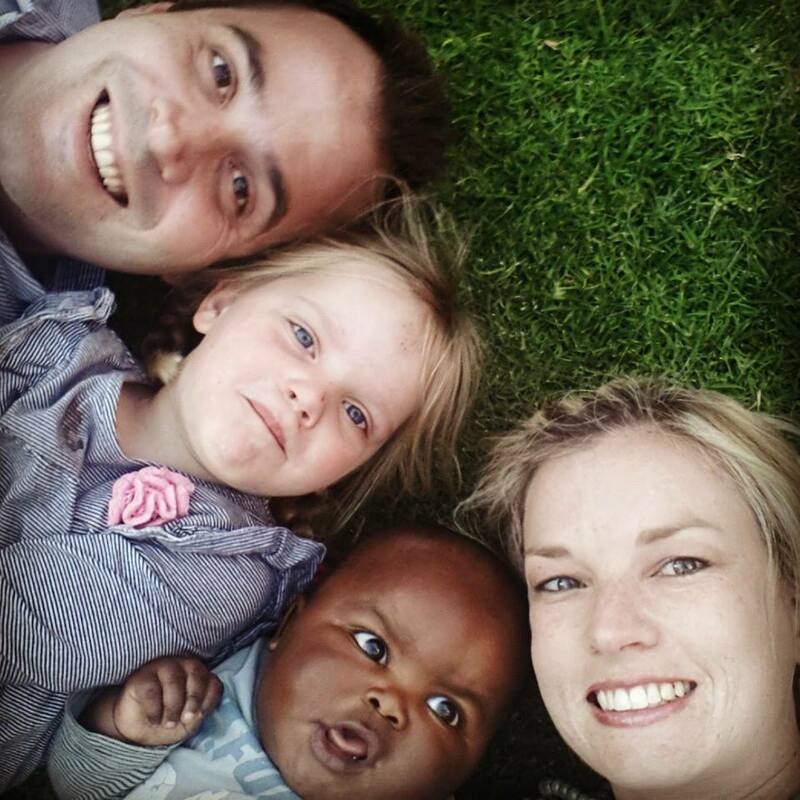 Lovely thoughts on how adoption changed her and what she has learned through this journey. “The call woke me up late one December evening in 2012. I was out of state at a training seminar for work and was already fast asleep in my hotel room. Seeing that the caller was my sister, I confess that my first, half-asleep reaction not quite joyous as, between the two of us, she is definitely the night person. But when I finally became coherent enough to understand what she was saying and her words – “You’re an aunt.” – sank in, I knew my life had just been irreversibly changed. I now think of it as among the best days of my life. What makes it different from, perhaps, the “typical” experience is that my precious niece came to our family through adoption. Now, 18 months later, I can’t get enough of her smiles, her kisses, and her words that are coming at a faster pace by the day. Perceptions – and misperceptions – of adoption are undoubtedly too many to count, from the idea that people adopt only (and always) because it’s their only option to have children (wrong) to the idea that children are placed for adoption only because they are unwanted (wrong again). As I’ve watched my niece grow these past months, and now as I watch my sister and brother-in-law pursue adopting four siblings, I’ve had my own perceptions challenged, reinforced, obliterated, and tweaked – in varying degrees. While I certainly can’t give ‘advice’ as (or to) an adoptive mother, perhaps a few things I’ve learned can help others whose lives have been changed, blessed, and enriched in some way through adoption – or those who aren’t quite sure how to respond to a friend or family member who has chosen to adopt. 1) Every story is different. Before assuming you know the reason for an adoption, realize one thing: you probably don’t. Assumptions, if stated, can be hurtful – to birth mothers, to adoptive parents, and to the children involved. Just as every child is unique, so, too, is every story unique. 2) People ask some stupid questions. Yes, it’s true. While I haven’t gotten some of the downright rude questions my sister has gotten, I have gotten questions such as “Where did she come from?” “Did they adopt because they couldn’t have kids?” Etc. By and large, these questions reflect ignorance more than malice. And truth be told, I’ve probably asked these exact questions in my past (although never again). So, to all my friends who will be asked these questions, take heart, you’re not the first to face them. And to those thinking about asking these questions, think twice. If your purpose is simply your own curiosity, perhaps restraint is the virtue of the day. 3) “Adopted” does not mean “unwanted.” It’s all too easy and tempting to imagine that a birth mother places her child for adoption because she doesn’t want the child. After all, how could anyone “give up” her child? Before going any further, stop. Just stop. Unless you know the whole story, you don’t know the whole story (And even if you know the whole story, you might not know the whole story.) Certainly, those instances exist. But so do many, many cases of birth mothers showing incredible love and courage by relinquishing their children to someone else’s care. 4) Adoption does not define a child. My niece is not my “adopted” niece. My niece is my niece, who so happened to come into our family through adoption. Certainly, the fact that this is her story will impact her life. But classifying a child – any child – by the fact that they entered a family through adoption is no different from classifying them based on other factors, which we wouldn’t dream of doing. 5) If you haven’t adopted a child, don’t pretend you understand.How tempting it would be to tell my sister – or anyone pursuing an adoption – that I understand the stresses they’re going through. All that paperwork? Well, yeah, I’ve done my taxes before. All the uncertainties? Sure, I’ve been uncertain of things before. But the reality is that I have no idea. And chances are, if you haven’t adopted, neither do you. To offer our support, we don’t need to know it all or pretend that we do. 6) Adoption will change your life in ways you can’t even begin to imagine. When I first met my niece, I couldn’t begin to imagine the joy she would bring into our lives. Certainly, things changed. But it was the kind of change you never knew you needed but now can’t imagine life without. And if and when more children join my niece, I know that a year from now, I’ll be saying the same thing. You can view the whole piece here. 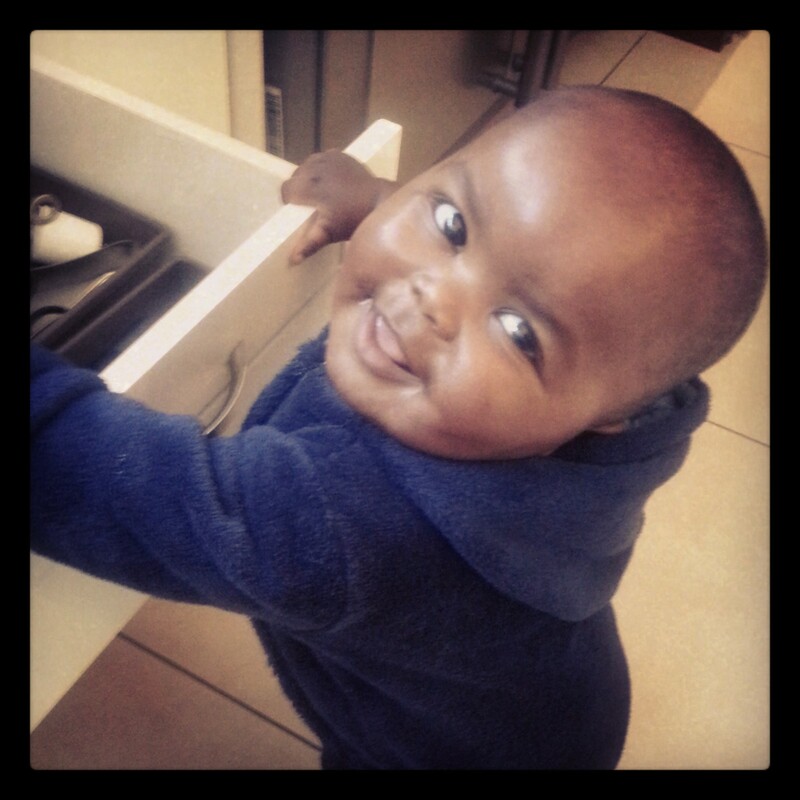 Siya – 9 months old! He’s also starting to babble quite a bit, practising his “mamamamama” and “papapapapapapa“ to our delight! We’ve settled into a good routine of being a family of 4, and Nina especially has really made it easy. She loves being the older sister, and showers him with kisses and talks with him like a real mommy. 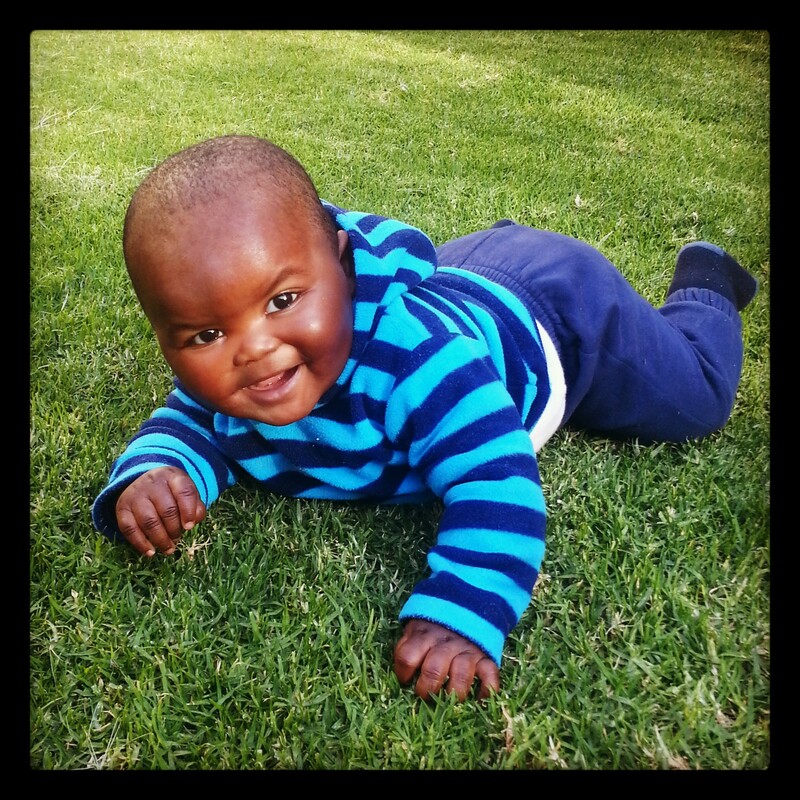 Most days I even forget that Siya’s skin color is different than ours – only to be reminded by the stares from people in public places. Mostly people stare because it’s a strange sight for them I think, not because they don’t approve of it. We have not encountered anyone making a rude comment so far, although I know that day will come and I must be prepared for it. Siya actually sets us up for good conversations with people regarding adoption, the Gospel and the plight of orphans in our country. When people understand or get a better idea of why we did it, they normally react in a positive manner. Parenting two children doesn’t always come easy for me. (And as I type this I cringe, because I know quite a few families with 3 or more children!) There are days that I want to plug my ears when Siya moans or cries a bit longer than normal. There are days that I long for a quiet afternoon. There are days that I long back to the days where I could get in bed at night and not wonder whether it will be a good or bad night. There are days that I get frustrated when I hear Nina or Siya starting to cough again. Like my dear husband said: “Parenting is relentless”. It never stops. But it brings joy! Seeing a huge smile on his chubby cheeks early morning after a night of not sleeping well. Being hugged and kissed by a 3 year old. Seeing my fairy dance around the house in her ballet outfit. Seeing Siya really try to crawl and move. Seeing how Nina starts to immitate me. Seeing how excited Siya gets for his food. Seeing how he stretches his arms out to us and knowing we are his parents. That is what makes it all worth it! Knowing that our Heavenly Father planned for these two special children to become part of our family, knowing that He will equip me to be the best mommy for them – that gives me comfort and peace when I feel downcast and frustrated. Through these children – with the joys and frustration they bring, I know that God is building my character, changing me every day (baby steps at a time!) to more closely resemble Christ. Lately I’ve seen several blogs dedicated to the language of adoption. How to talk about adoption, birth parents, adoptive parents etc. As our oldest daughter is nearing 4 years old, we realise we need to start talkimg more and more about her adoption and what a positive thing it is in our home. This piece from Adoption.com also gives good ideas on the terminology to use. The way we speak and the words we use when talking about adoption will directly influence the language our neighbors, friends, and family use when they talk about adoption. It is important to use positive adoption language when talking because it will effect the way our children feel about their adoption story. If we are constantly sharing that they were “given up” by their “real parents” how is that going to make them feel about their adoption story? Rather, we should say that they were placed into our homes by their birth parents. Adoption is all about love and we need to share that love, and out love for adoption. People who conceive give birth to, and place their child for adoption. They do not become a birth parent until after placement. Before placement they are still an expectant parent. Using the term “real” implies that adoptive parent relationships are somehow fake and not as important as biological relationships. Birth parents and adoptive parents are both real and important to a child. Both can have meaningful relationships with a child. You do not need to address that you are an adoptive family unless it is specific to the conversation. Making an adoption plan implies that birth parents thought about their options and created an adoption plan and were responsible for their decision to place their child. Gave up, adopted out, abandoned, and put up for adoption all imply that no thought or love went into an adoption plan. Birth parents lovingly place their child into a family. Not all expectant parents who make an adoption plan end up placing their child. Rather than saying “they kept it,” we should acknowledge that they are parenting their child. The light that we shed on adoption will directly influence those around us. Our children’s self-image and self-esteem will be effected by the language we use when describing our adoption journeys. It is our responsibility to politely correct people when they use negative language and educate them on the correct terms. By educating our neighbors, friends, and family on the love that comes from adoption, we will show our kids that adoption is something to celebrate and to be proud of.